The Red Sox will play host to the Orioles Monday night live on ESPN’s Monday Night Baseball presented by USAA. Monday night’s game is the first in a four-game series between the American League East opponents. It replaces the network’s previously scheduled Indians-Tigers matchup. The game will be simulcast on television and online via ESPN Deportes, WatchESPN and the ESPN app. Coverage begins at 7 p.m. ET and is subject to local blackout restrictions in each teams’ markets. Chris Sale is expected to get the start for Boston, though mlb.com has Rick Porcello scheduled as the starter for the Red Sox. Dylan Bundy is expected to take the mound for the Orioles. Monday night’s series opener between the Sox and the “Orange Birds” is certain to be an interesting one, going by the numbers. Baltimore is currently in the midst of a two-game skid, but is 6-4 in its last 10 games. The team’s weakness is that it has performed better at home (8 – 3) so far this season than on the road (6 – 5). By comparison, Boston has also performed far better at home (8 – 5) so far this season than on the road (4 – 6) but not quite as impressively as Baltimore. Boston is 4 – 6 in its last 10 games and looking to bounce back Sunday from a 7 – 4 loss against the Chicago Cubs. Win or lose in that series-ending game, Boston will be hungry for another “W.” Looking at the overall picture painted by those numbers, Monday night’s game could go to either team. ESPN is expanding its coverage of the World Baseball Classic. The worldwide leader in sports is expanding coverage of the annual baseball event this year to include coverage from ESPN Deportes, ESPN Deportes Radio, WatchESPN and a Spanish-language simulcast of Final on Match 22 on ESPN2. ESPN Deportes’ coverage of the tournament begins March 6 at 10 p.m. ET with first-round pool play featuring Israel vs. Chinese Taipei. On March 9, things pick up even more as defending champion Dominican Republic makes its debut against Canada at 6 p.m. ET. Mexico vs. Italy airs immediately after Dominican Republic vs. Canada at 9 p.m. ET. MLB Network will partner with ESPN for additional coverage of the World Baseball Classic. The 2017 World Baseball Classic will feature some of Major League Baseball’s biggest names. They include Miguel Cabrera (Venezuela), Nolan Arenado (United States), Robinson Cano (Dominican Republic) and Yadier Molina (Puerto Rico) among many others. In all, 63 MLB All-Stars have appeared through the years at the World Baseball Classic. Adding to the tournament’s international feel, ESPN Deportes has launched a new marketing campaign for its coverage of the World Baseball Classic featuring Latin Grammy ®-winners ChocQuib Town. The group’s song ‘De Donde Vengo Yo’ will serve as the music base for the network’s World Baseball Classic-related television promotions. The tournament’s extensive coverage and list of superstars to appear is just part of what will make ESPN networks’ coverage stand out this year. The networks’ list of talent covering the tournament stands out just as much as the superstars playing in the games. ESPN Deportes’ experts tapped to help cover the tournament includes: Ernesto Jerez, Luis Alfredo Alvarez, Guillermo Celis, Eduardo Perez, Jorge Eduardo Sanchez, Eitan Benezra, Fernando Alvarez, Carolina Guillen, Renato Bermudez, Carlos Nava, Jorge Morejon, Jose Francisco Rivera, Kenneth Garay and Enrique Rojas. Former MLB player and manager Ozzie Guillen will join ESPN Deportes’ staff for additional commentary throughout the tournament. Fellow legends Orlando “El Duque” Hernandez and Ismael Valdez will also join the networks’ staff for more insight. Pedro Gomez and Marly Rivera will serve as bilingual reporters for SportsCenter, Nacion ESPN on ESPN2 and Baseball Tonight. The ESPN networks’ broadcast schedule for the World Baseball Classic is noted below. 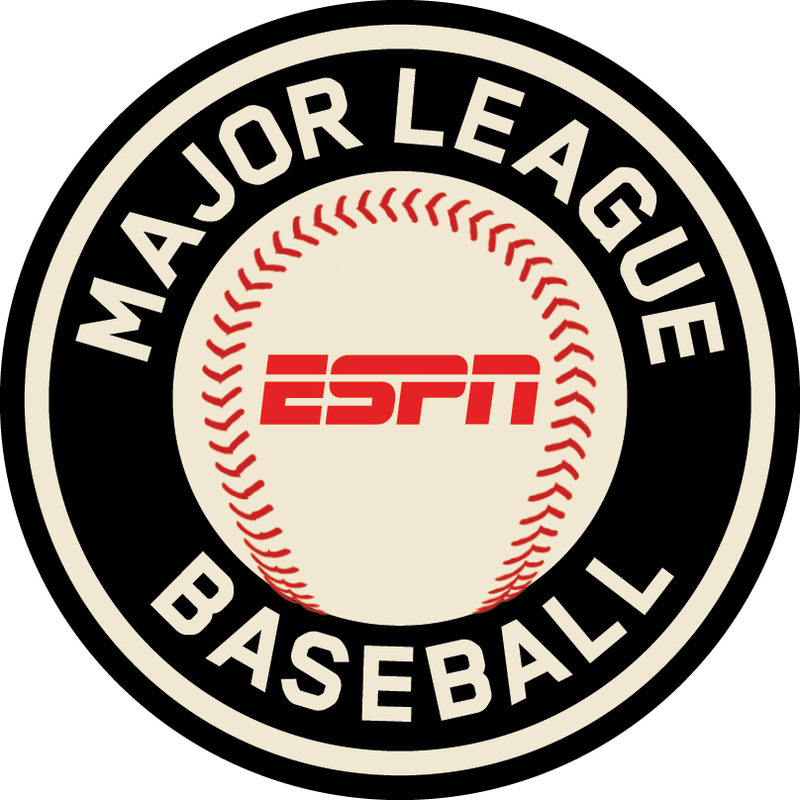 The countdown to the start of Major League Baseball’s 2017 season is on, and in anticipation of the season’s start, ESPN has announced one of the games to be featured on its weekly Sunday Night Basebal presented by Taco Belll broadcast schedule. The Tigers and Rangers will face off on May 21 in an American League interdivisional matchup live on ESPN’s flagship MLB program. Coverage is set to begin at 8 p.m. EST. Dan Shulman will have the call for the game. Shulman will be joined in the booth by analysts Jessica Mendoza and Aaron Boone. Reporter Buster Olney will also be on hand for the latest in-game interviews and news. The Rangers’ May 21 road game against the Tigers will mark Texas’ first appearance on Sunday Night Baseball presented by Taco Bell for the season. Detroit will make another live appearance on Sunday Night Baseball presented by Taco Bell on July 9 against the 2016 American League Champion Cleveland Indians. Those that won’t be near a television during either broadcast can still catch the games on the radio on ESPN Radio and ESPN Deportes Radio and online via WatchESPN and the ESPN app. Spanish-speaking audiences and fans in other nations can catch games on television via ESPN Deportes and ESPN International. The stage is set for this season’s college football championship, and ESPN will carry full coverage of the rematch from last season’s title game between Clemson and Alabama. ESPN will begin its coverage of the College Football Championship presented by AT&T tomorrow night at 8 p.m. ET. The game will be broadcast live from Raymond James Stadium in Tampa, Florida. Chris Fowler, Kirk Herbstreit, Samantha Ponder and Tom Rinaldi will have the call for the showdown between the Tigers and Red Tide. The worldwide leader in sports and its networks will offer extensive coverage of the game throughout the day leading up to kickoff. That extensive coverage from ESPN’s networks includes Coaches Film Room on ESPNEWS, Finebaum Filmroom on SEC Network, Homers Telecast on ESPN2 and much more. Additional coverage on the day will air on ESPNU, ESPN Classic, ESPN Goal Line, and ESPN3. Those that won’t be near a TV during Monday’s college football championship can still catch the game in full online via WatchESPN and on the radio via ESPN Radio. The game will also be simulcast live in Spanish on ESPN Deportes and ESPN Deportes Radio and Eduardo Varela will have the call for ESPN Deportes. Kenneth Garay and Sebastian M. Christensen will have the call for ESPN Deportes Radio. Along with its broadcast on ESPN Deportes and ESPN Deportes Radio, Monday night’s game will also be broadcast worldwide. ESPN International will carry the game for fans in more than 179 nations around the world through its networks and streaming services. The NFL begins its post season this weekend, and ESPN will be along for the ride with coverage of the AFC Wild Card matchup between the Raiders and Texans. Coverage of Saturday’s game begins at 3 p.m. EST with a special Postseason NFL Countdown broadcast hosted by Suzy Kolber. The program will air live from NRG Stadium. Kolber will be joined by analysts Trent Dilfer, Matt Hasselbeck, Randy Moss and Charles Woodson for additional commentary. Chris Berman will co-host the broadcast live from ESPN’s studios in Bristol, CT. Lisa Salters and Adam Schefter will have team updates from both camps. Reporter Britt McHenry (Raiders-Texans) and NFL Insider Ed Werder (Lions-Seahawks) will offer additional updates on Saturday’s games, too. Live coverage of the Raiders-Texans games begins at 4:20 p.m. EST. The game will be simulcast on television on ABC, ESPN and ESPN Deportes, and online via WatchESPN. Kickoff for the game is currently scheduled for 4:35 pm ET. Cam Newton and the Carolina Panthers go under the lights live Monday night on ESPN when they take on the Washington Redskins on Monday Night Football. Last season’s runners-up in the Super Bowl, the Panthers have struggled to repeat last season’s success this season. Carolina sits last in the NFC South at 5 – 8 so far on the season. The “Cardiac Cats” are 4 – 5 in their conference, 1 – 3 in non-conference play, and 2 – 3 in their last five games. Their last win came last week as they defeated the San Diego Chargers 28 – 16. A win by the Panthers Monday night coupled with a loss by the New Orleans Saints on Sunday would potentially pull the Panthers out of the NFC South basement. That’s because both teams sit at 5 – 8 on the season. The Panthers’ playoff hopes are slim to nil win or lose Monday night. On the other hand, Monday night’s game has even more importance for Washington, which sits 3rd in the NFC East at 7 – 5 – 1 so far on the season with its only tie coming earlier in the season against Cincinnati. Washington’s NFC East opponents, the Dallas Cowboys, have already punched their ticket to the postseason. Washington comes into Monday night’s game on the heels of a 27 – 22 win over Philadelphia in Week 14. Washington has also proven better at home on the road this season than on the road, going 4 – 2 at home and 3 – 3 – 1 on the road. Monday’s NFC Inter-Divisional matchup can go either way. The Panthers have nothing to lose while Washington has much more to lose. So each team will be giving its all once the lights go on and the cameras go live. Sean McDonough will have the call for Monday’s matchup beginning at 8:15 p.m. He will be joined in the booth by Jon Gruden for additional commentary. Reporter Lisa Salters will be on the sidelines for all of the latest in-game news and interviews. Monday Night Countdown will precede Monday Night Football beginning at 6 p.m. EST. Suzy Kolber will anchor the broadcast live. She will be joined at the desk by analysts Trent Dilfer, Matt Hasselbeck, Randy Moss, Charles Woodson and Steve Young. NFL features reporter Michelle Beisner-Buck, ESPN Insider Adam Schefter and the MNF broadcast team will also join the broadcast for additional commentary. Chris Berman and special guest (and with former ESPN NFL analyst) Tom Jackson will offer additional insight and commentary during the broadcast, too. Jackson’s appearance is part of Berman’s NFL Legends initiative. Monday’s game will be simulcast in Spanish on ESPN Deportes for the network’s Spanish-speaking audiences. It will also stream live online on WatchESPN and the ESPN app. The Cleveland Cavaliers and Chicago Bulls will face off Friday and ESPN will have full coverage of the game including exclusive broadcasts of NBA Countdown, The Jump and SportsCenter. It all leads up to the 1-2 showdown in the Eastern Conference’s Central Division. The Jump will air at a special time of 3 p.m. EST on ESPN2 live inside the United Center. Rachel Nichols will anchor the broadcast. She will be joined by analayst Tracy McGrady and Brian Windhorst for additional commentary on the one-hour edition of the program. NBA Countdown begins at 7 p.m. EST and will also broadcast live from the United Center. Michelle Beadle will anchor the hour-long broadcast as it leads up to the 8 p.m. tip-off for the Cavaliers – Bulls matchup at 8p.m. EST. Beadle will be joined by analysts Jalen Rose, Chauncey Billups and Tracy McGrady for additional commentary. Mike Breen will have the call for Friday night’s game between the Eastern Division-leading Cavaliers and the Bulls, who are right behind them. Breen will be joined by analyst Mark Jackson for additional commentary. Reporter and Chicago native Cassidy Hubbarth will be on hand for all of the latest in-game news and interviews. 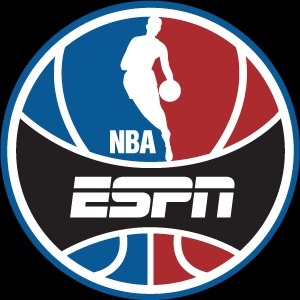 As an additional bonus for fans, ESPN3 will carry a live stream of the teams’ pre-game, on-court workouts and drills beginning at 7:15 p.m. EST. SportsCenter will be live on site throughout the day for even more coverage. That coverage includes live updates and post-game updates. The Cavs and Bulls are just first game scheduled for the night. The Nuggets will host the Rockets at 10:30 p.m. EST in an inter-divisional matchup in the Western Conference. Ryan Ruocco will anchor the broadcast. He will be joined by analyst Doug Collins for additional commentary.